Health Special Risk, Inc. (HSR) is one of the nations leading Underwriting Managers (MGU), Third Party Claims Administrators (TPA), and Program Managers for Special Risk and Accident & Health Insurance. We specialize in providing Accident & Health, Special Events insurance products, and administrative services to licensed agents, brokers, and insurance companies across the United States. HSR is in our fifth decade of being a leader in the development and administration of Special Risk and Accident & Health Insurance products for nearly 40 years. HSR maintains underwriting, binding, and claims administration authority with many of the nation’s leading and financially sound insurance companies, and have General Agency agreements with many others. Since 1979, your business has been our most valued asset. Website database by Ion Resources and website design by getNOTICEDonline.com. At Health Special Risk, we provide you, our clients, with the highest level of customer service for all our insurance products and administrative services. 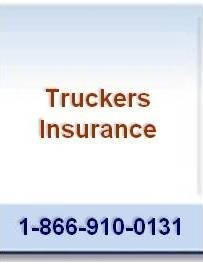 Our employees are dedicated to offering the highest quality accident and health insurance products, priced extremely competitively and backed by our superior personal service.